A cycle shop which has had a strong high street presence in Derby since 1984 is to be sold in an online auction by SDL Auctions. 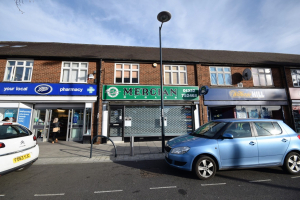 Generations of cyclists have gazed longingly into the window and browsed the showroom of Mercian Cycles Ltd, 7 Shardlow Road, Alvaston but, at the end of November 2018, the business closed the shop so it could concentrate on its manufacturing workshop in Ascot Drive, Derby. Now investors are gearing up to shift the focus of the property as it is being sold by unconditional online auction in partnership with Century 21 Derby. The two-storey unit, with a starting bid of £175,000, comprises a 59ft showroom with workshop to the rear. Upstairs there are five offices and a shower room. Mercian Cycles was launched in 1946 and is known today for its custom-made bicycles, boasting customers around the globe and a prestigious collaboration with designer Paul Smith. While the company has moved onto pastures new, the shop remains an excellent investment, with the potential to achieve a rent of £24,000 per year. Jason Lee, national sales manager at SDL Auctions, said: “Derby people have been used to seeing Mercian on the high street in Alvaston since the 80s – but now it’s time for another business to take over the space. Alvaston is a busy suburb of Derby with easy access to the A6, A50 and M1, as well as Derby city centre. The auction ends at noon on Wednesday 20 February and For more details or to view the property, call Century 21 Derby on 01332 242 923 or email info@century21uk.com.